Step 1. 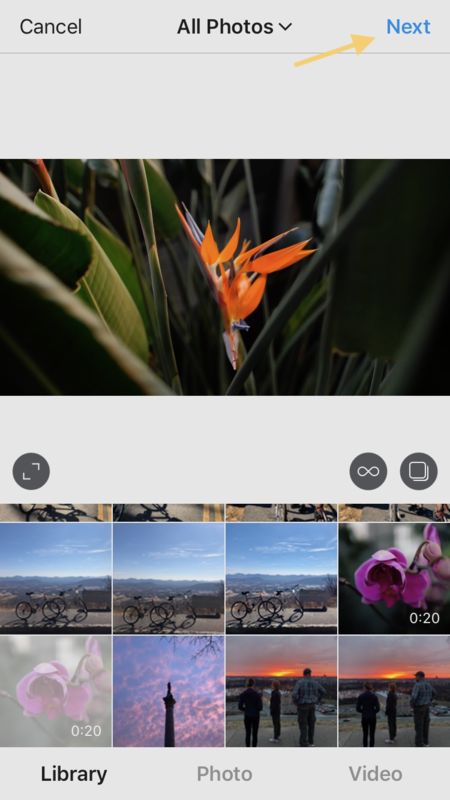 Save the video to your phone via Google Drive. 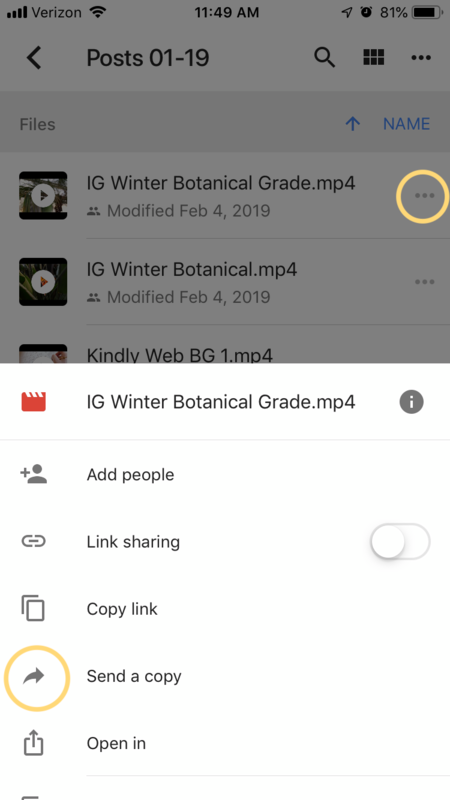 If you have the Google Drive App on your phone you can navigate to the video in the folder we shared with you, then click the three dots to the right of the file in list view and press ‘Send a copy'.’ Then you can choose ‘Save Video’ and the video will be on your phone in the Photos app. Step 2. Open the Video in the Instagram App. 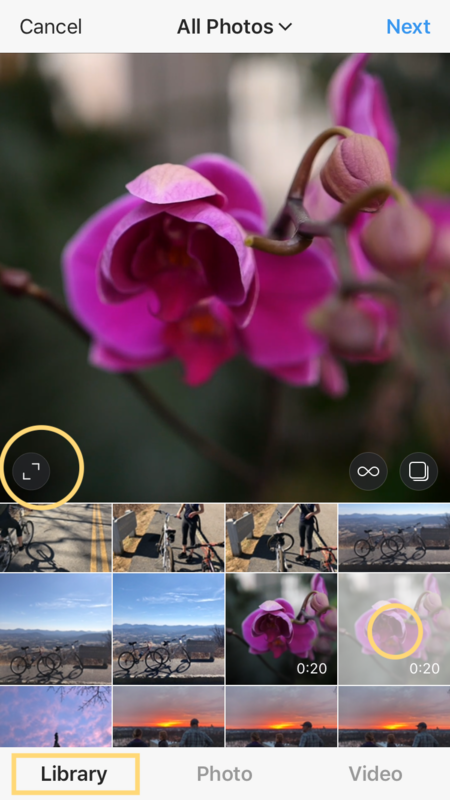 Open the Instagram app and choose the video in your LIBRARY. Then make sure you press the little arrows bottom left of the video to make it full width. Step 3. Make sure the Video is Full-width. Before you press next make sure your video is full-width (AKA it looks like a rectangle not a square unless we actually give you a square). Then click NEXT. Step 4. Go to the Cover Screen to select a thumbnail image. The next screen will ask you to choose a filter. You can leave the video as normal since we’ve already done color grading on it before sending to you. But before you click next, be sure to press COVER on the bottom right of the screen. Step 5 shows you how to select your thumbnail image. Step 5. Select the frame you want to display in your feed. Slide your finger along the timeline at the bottom of the COVER screen to find a frame from the video that you love. The small square in the timeline shows exactly how the video will show up in your profile page / feed. When you’re happy with the selection click next. step 6. Tag us @liveoakfilms and yourselves in the video, then post! Write a caption, tag @liveoakfilms and yourself and everyone else in the video then share!